Stanbic Bank Ignite program graduates celebrating their achievement after a 6 months program aimed at developing female leaders within the bank. Others at the center are Stanbic Bank Director, Judika Kingori (in red right) and the program facilitator, Patricia Murugambi (in red left). An old adage goes, “if you educate a man, you educate one person. If you educate a woman, you educate a nation” – a frequently utilized quote in the development circles. We know that equal opportunities have to be afforded to both men and women, especially when it comes to education. However, the education of girls and women in particular is a magical multiplier in the development equation as the benefits are felt throughout the whole community. For the last quarter century, the gender agenda has been championed across various platforms: from the workplace, to awareness campaigns, strengthening anti-discrimination policies, and encouraging more women to enter the corporate world. According to a Ministry of Community Development Gender and Children (MCDGC) publication, 50.6% of Tanzania’s labor force is occupied by women and the overall labor force participation rate, (including the informal sector) of women is 80.7%- slightly higher than men who hold 79.6%. Getting more women in the workplace is only half the battle, equipping them with the skills and tools to develop as leaders in top positions is an area that is often overlooked by employers. Many companies worldwide have established initiatives to build leadership skills in their female employees- especially senior members of the management team. 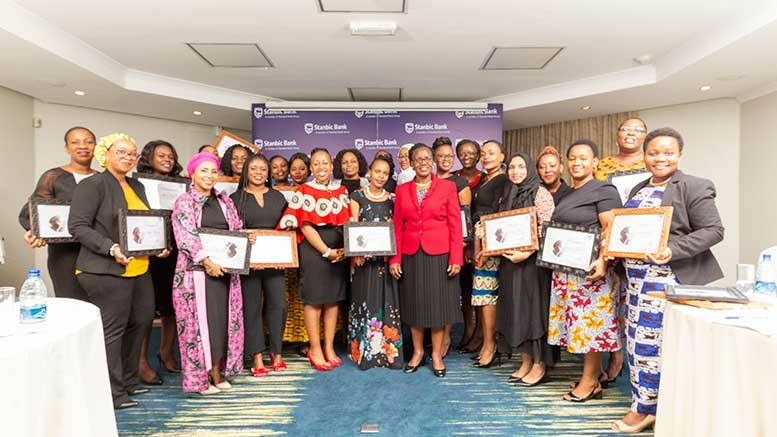 In Tanzania, Stanbic bank, in partnership with Breakthrough Consulting Solutions launched the IGNITE initiative earlier in the year in March to develop female leaders within the bank. The first intake included 25 women who hold senior positions at the bank. The IGNITE curriculum takes a holistic approach seeking to enrich the personal lives, mindset and professional career of the participants. The program has infused others to be more courageous and collaborative leaders, Agnes Thadei a Senior Manager in the Internal Audit department, says she was challenged to think like a leader and not just as an employee knowing that the impact of her ideas and actions cascade throughout the entire organization. She also notes the importance of incorporating a discipline of reading, recognizing that “I can’t lead if I don’t read”. Stanbic endeavors to enhance and enable the talent and potential of women at the bank, so as to empower their success in all spheres of their lives. “My mindset has been stretched as I have been able to be more strategic in my thinking says Hellen Makanza,” the bank’s Company Secretary. “I have many skills which I have been under-utilizing and yet these are beneficial to myself and the organization,” she adds. Women juggling career and family often find it challenging to find an equilibrium that works, according to Hellen, the program has helped her prioritize her family and generally be more organized.